Fantastic Fully Loaded 1 Owner Truck On Our Hands! No Accidents, Clean Carfax. 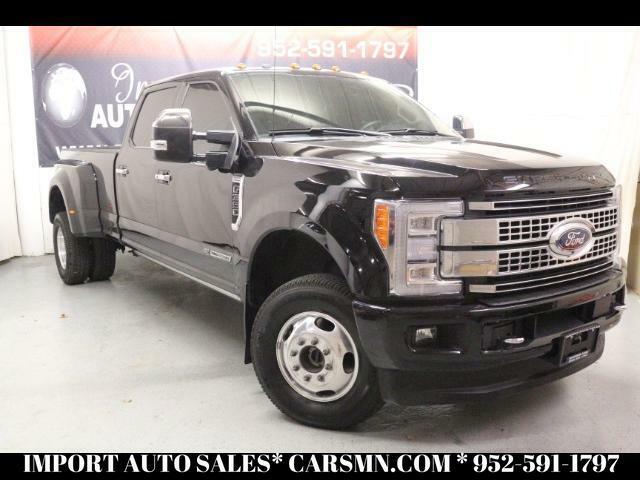 Loaded With Platinum Ultimate Package which Includes: Top of The Line Super Duty with Adaptive Cruise Control and Collision Warning with Brake Support, Lane Departure Warning, Twin-Panel MoonRoof, and Ultimate Trailer Tow Camera System (Includes 360-Degree Camera Plus CHMSL Camera). FX4 Off-Road Package Includes: Hill Descent Control, Rancho Shocks, Transfer Case and Fuel Tank Skid Plates, and the Unique FX4 Off-Road Box Decal. Has the 5th Wheel/Gooseneck Hitch Prep Package, Adaptive Steering System. Also Has Navigation, Power Running Boards, Heated and Cooled Seats, Massaging Front Seats, Heated Rear Seats, Sony Premium Sound System, CD Player, Bluetooth Phone and Audio System, Steering Wheel Audio Controls, Blind Spot Monitor with Cross Traffic Alert, Back Up Camera, Wide-View Camera, Rear View Camera Center High, Power Adjusting Foot Pedals, Power Sliding Rear Window, Heated Steering Wheel, Factory Remote Start, Reverse Sensing System, PowerScope Telescoping Trailer Tow Mirrors, Power Folding Mirrors, Trailer Brake Controller, LED Head Lights, Tail Gate Step with Tail Gate Assist, and So Much More! Inquire Online or Call Us at 952-591-1797 Great Financing is Available and Trades are Welcome! !